Designed to fit over prescription glasses. 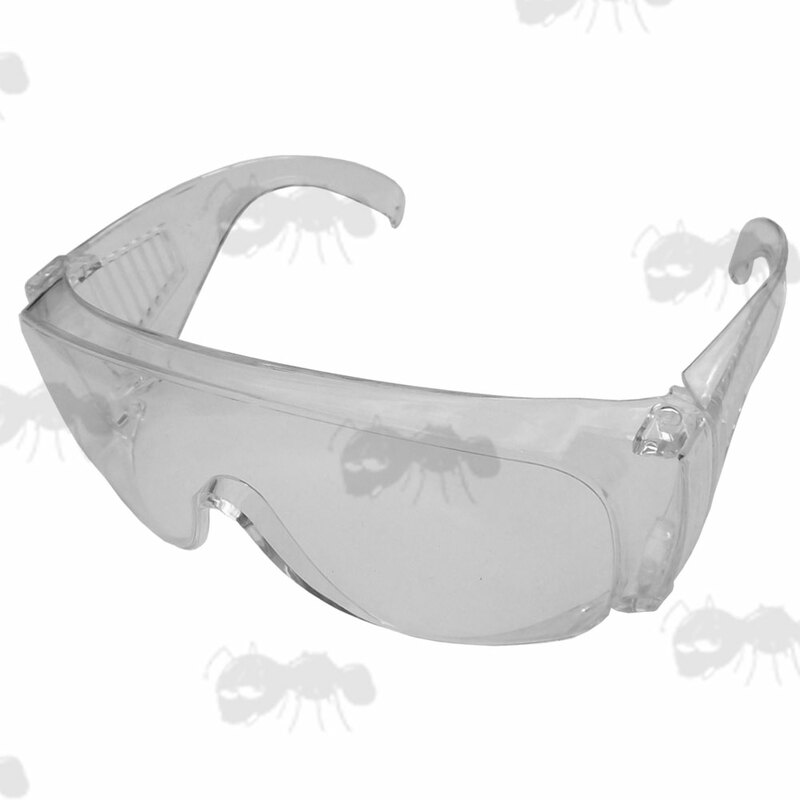 Stated as approved up to CE ANSI Z87.1 and CE / EN166 standards. 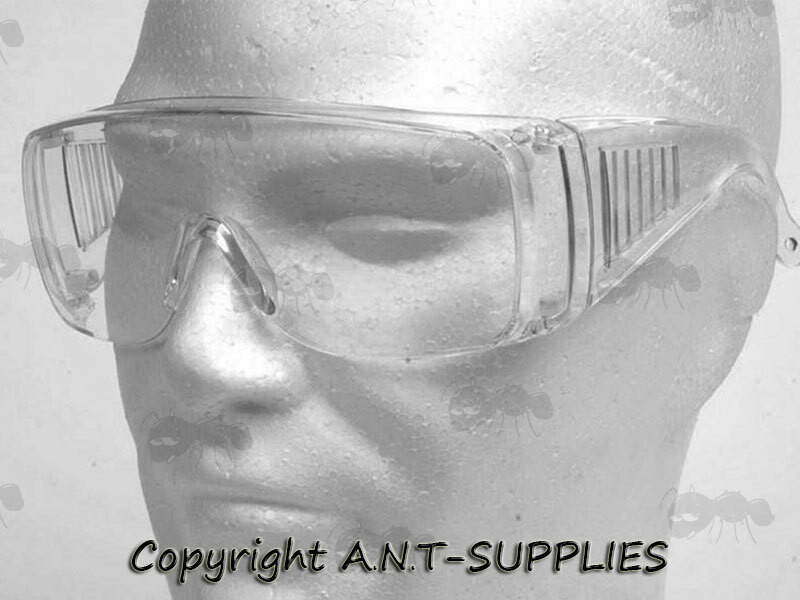 They are not sun glasses and are not designed as safety goggles for other activities.